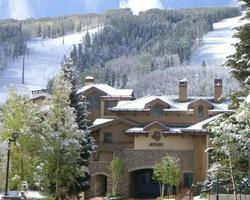 "Big Savings" at the Antlers at Vail - Save up to 50% off regular wholesale rates when you book by Janaury 1st! Our friends at the Antlers are at it again! They want us to incent you to get your Vail visit planned NOW, while it is still available. Don't miss this great opportunity to stay at one of Vail's best locations. You'll enjoy a fabulous stay and save some green as well!!! All existing minimium night stay requirements remain in effect for this offer. Must book by Janaury 1st! Complete any online quote for listed properties and appropriate discount will be automatically applied. If you prefer, contact your sales representative at 888-754-2167 for assistance & additional details. Please go to the Vail Ski Vacation page to start your custom trip quote to Vail to take advantage of this Hot Deal!